Available for the first time in paperback after selling out its hardcover print run and being frequently named among the best of the Katrina books, After the Storm offers "angry, learned, focused, readable, and] essential" writing, according to Library Journal, in which contributors face what Ebony magazine calls "questions about poverty, housing, governmental decision-making, crime, community development and political participation, which were raised in the aftermath of the storm." 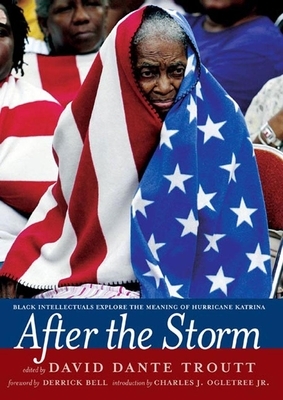 Featuring the work of leading African American intellectuals, including Derrick Bell, Charles Ogletree, Michael Eric Dyson, Cheryl Harris, Devon Carbado, Adolph Reed, Sheryll Cashin, and Clement Alexander Price, After the Storm suggests "precisely what we must do if we are to both save the planet and create the great towns and cities that we can proudly bequeath to future generations" (Socialist Review). David Dante Troutt is a professor of law and Justice John J. Francis Scholar at Rutgers University. Author of The Monkey Suit (The New Press), among other books, he lives in Brooklyn, New York.